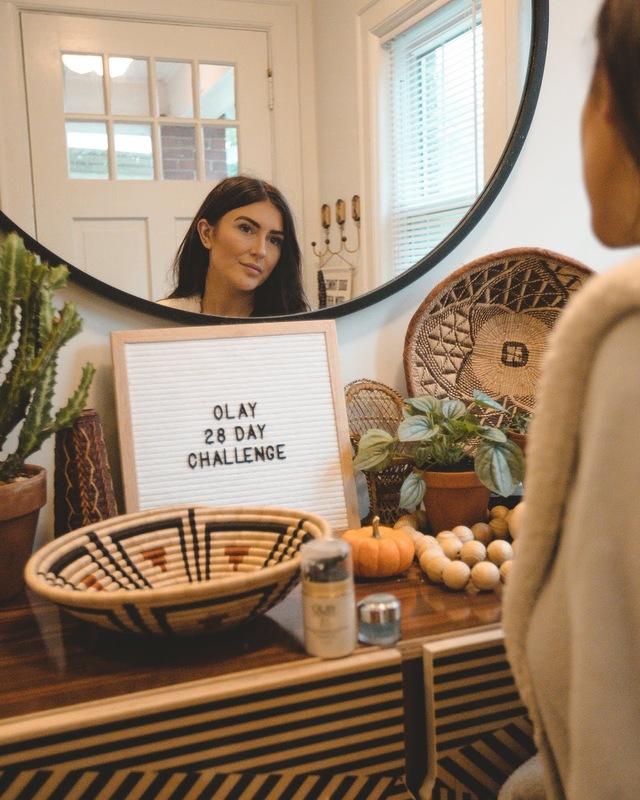 This past month Olay challenged me to implement their Olay Total Effects 7-in-1 Moisturizer and Olay Eyes Deep Hydrating Eye Gel into my skincare routine for 28 days to see how my skin improves. I documented my results over the past month and I am SO pumped to share them with you guys. And just a little background, Olay was actually the first moisturizer I ever used growing up thanks to my Mom and she has never once switched off her Olay 7-in-1! My skin is SUPER dry, especially along my jawline and undereye area. I find that sometimes when I am applying makeup I just want to wash it all off because it isn't applying smoothly because my skin is just too flakey and gross. As you guys know I am constantly traveling and traveling does not help with my dry skin. Halfway through the challenge (and definitely giving the challenge a true test to my reality by traveling from Nashville to Los Angeles) I was so thankful to have a moisturizer that had SPF 15 in it because it was in the high 90's and not a cloud in the sky. I am someone who always forgets to apply sunscreen so I was super happy to have a moisturizer that already has some in it so the sun doesn't do further damage to my skin. It was on Day 14 that I noticed my undereyes were more hydrated when I went to apply concealer after using my Olay Deep Hydrating Eye Gel. The gel consistency is so fun compared to most creams and absorbs quickly into my skin. I like how cool it feels to when I apply it so it de-puffs my eyes in the morning. By the end of the 28 day challenge my skin was glowing, seriously though because you guys were messaging me on IG asking what I was doing to get "the glow." Now I am revealing my secret! The Olay Total Effects 7-in-1 Moisturizer, it's amazing and it's affordable. 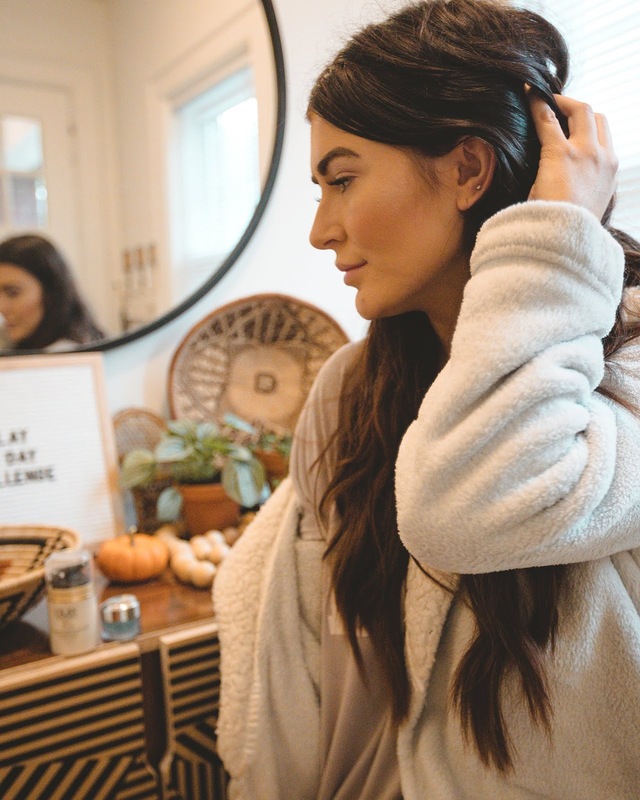 Something else I noticed towards the end of the challenge was that the moisturizer absorbed quickly into my skin so I didn't have to wait around before applying my makeup. I'm so happy with my results and I can see why my Mom has used this product for so long now. 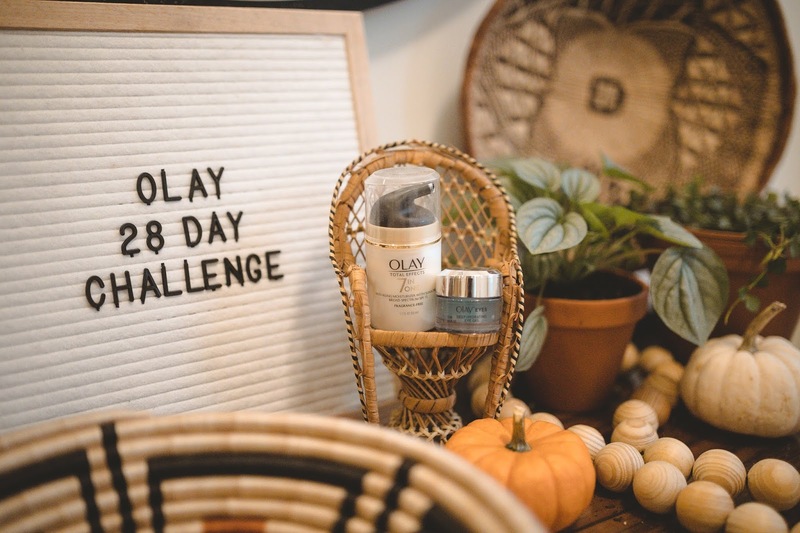 So that's my experience with the Olay 28 Day Challenge! 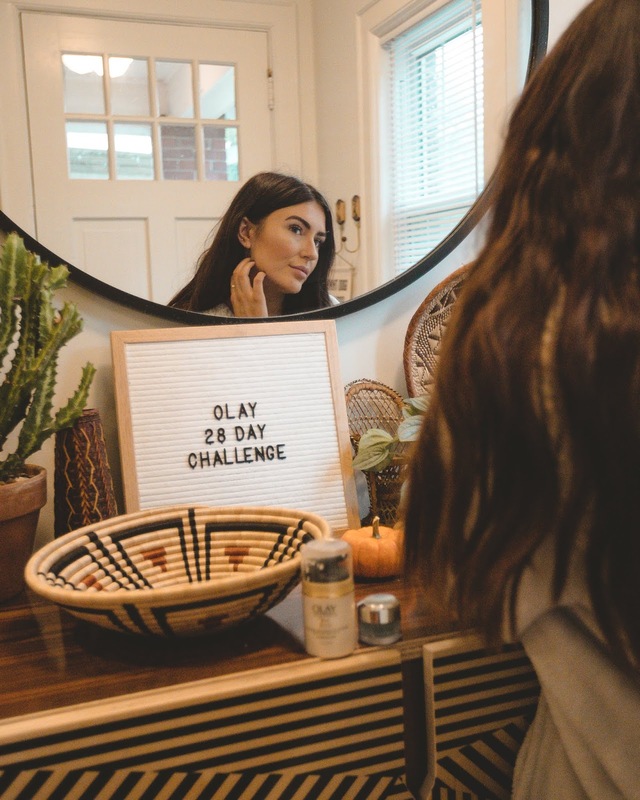 Have you guys tried out Olay products before? Let me know if you have and what your thoughts were!